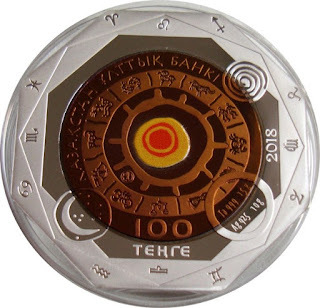 Accustomed to issuing coins of great beauty and quality, we are not surprised by the new series, all issued at once, that the National Bank of Kazakhstan has dedicated to the twelve signs of the zodiac. Divided into four parts, each one of a color, the four elements that govern the signs of the zodiac are presented: fire, air, earth and water. Its composition of silver and tantalum give a special brightness and color to these coins in which the zodiac symbols are represented in the form of cave paintings. The signs of water, tend to be vulnerable and sensitive people, are passive and often calm. Their main way of communicating with the world is through emotions, since they are very empathic people with the rest of the signs. Highly passionate and emotional, in his world feelings weigh more than reason. Air signs love to establish relationships with other people and communicate. They are thinkers, friendly, intellectual, communicative and analytical. They enjoy philosophical discussions, social gatherings and good books. They are good advisors, although sometimes they are superficial. The signs of earth, are usually very conservative and realistic, but they become very emotional. They love luxury and material goods. They are practical, loyal, stable and will always be with you in difficult times. Fire signs tend to be passionate, dynamic and temperamental. They get angry very easily but do not hold grudges, they forgive quickly. They have a lot of energy so they love the adventure. They are very strong physically and a source of inspiration for others. They are very intelligent, self-aware, creative and idealistic. 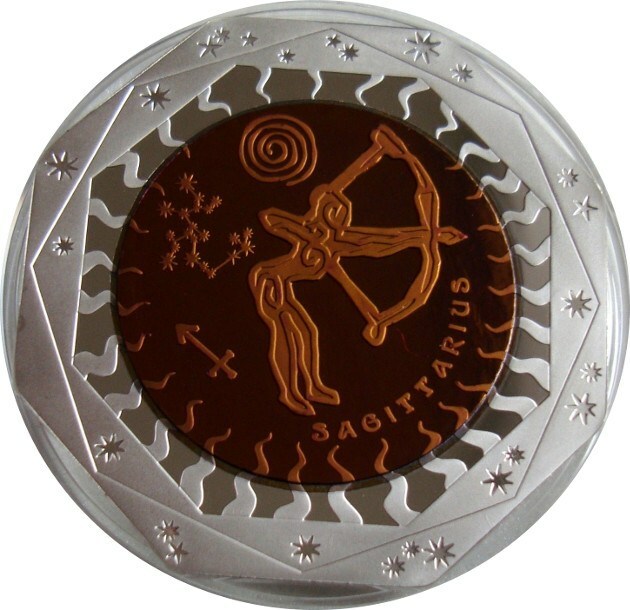 Now I will show you a real coin, the one dedicated to Sagittarius, where you can see the reverse that is the same in the whole series, just change the color. Here if you can appreciate much better the beauty of these coins. The prices that I have been able to see, to which the coins are being sold, range from 50 to 60 euros per piece, a little cheaper if the entire collection is purchased. Finally I leave you the video released by the National Bank of Kazakhstan, in English, dedicated to these currencies.